The joy of having a space that you can call a home is just immeasurable. Remember the design of such a place goes in line with your tastes and preferences. You need the kind of a home that will meet your unique needs with a very high level of precision. Apart from going for a pattern that will suit your decoration style, you also need the kind of space that is highly functional with very minimal upkeep requirements. This case applies whether you are dealing with the interior or exterior of your home. Having a perfectly designed space will definitely turn your house into a home. The modern-day lifestyle is very busy and its more important to have a comfortable place that you can escape to after having a very busy day. Do you have a concrete space that has been forgotten in your home? You can turn it into a sanctuary by resurfacing the concrete basement or patio in order to have a stamped concrete surface. The good thing about stamped concrete is that it gives you so many choices to play around with. This option is very viable for anyone who is creating his or her space. Let me start by sharing with you some of the benefits of stamped concrete that you need to know before you install it in your home. The first thing you have to understand is that stamped concrete is usually manufactured at your location. This means that you are free to choose any elements that you want to use in creating your space. Whatever you choose will be a reflection of your interest, style, and even taste. You can decide to go for a patio that resembles a direct flow in your garden or pool. You can also decide to render an artwork piece. The stamped concrete design that you choose is limited by your level of imagination, budget, or even location. You need to think outside of the box in order to choose the best-stamped concrete for your home. You can begin by understanding the overall theme of your home and asking for a design that will blend with it seamlessly. You can even use stamped concrete to give your home a cool and natural feeling if this is your intention. Stamped concrete is a solid surface that has been sealed appropriately. Therefore, you will have no worries about dirt or grit finding its way in between the crevices as is always the case when dealing with pavers or brick. In addition, unlike wood, you will not have to worry about the activities of termites destroying the surface. In addition, the colors of the stamped concrete will remain beautiful for several years to come. The only maintenance that you will have to undertake is occasionally applying a coat of sealing. Plain concrete can be appealing but applying decorative concrete will increase the return on investment in your house. It is an important application especially if you are planning to list your home for sale. The installation of stamped concrete is less than the other forms flooring or patio choices that are available on the market. 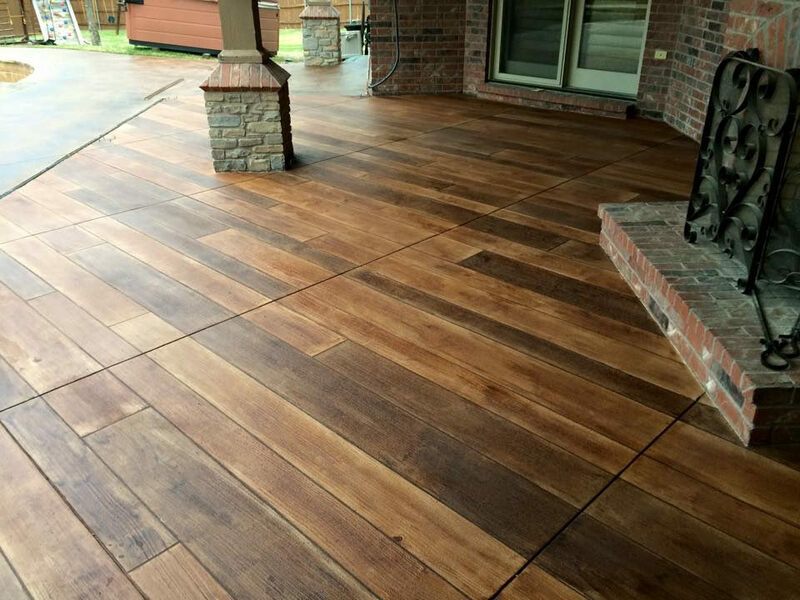 The process of installing stamped concrete will not require the use of lumber. It is also unnecessary to use sealers and solvent-based wood stains for regularly maintaining the surface. The implication is that stamped concrete is eco-friendly and supports the course of environmental concertation. Decorative concrete is the easiest type of patio you can install in your home. This material goes down like a concrete slab and hence the installation process is very fast. You need very little effort in terms of labor to install these surfaces. Stamped concrete may appear to be an unusual approach when designing a functional retreat space. However, it is a very ideal solution when making the layout of your home. Feel free to reason out of the box so that you can bring the beauty of stamped concrete in your home. You can begin your journey by discussing your plans with a professional concrete pro at httpwww.customconcreteorlando.com. You will discover that this is one of the best approaches to turning your house into a home. Wishing you all the best in your next house remodeling project.